In a world where people believe the crimson sun is a dead witch's head and the witch hunter who killed her stalks the night sky, a witch who ventures outside of Haven risks losing her life. Tessa is one such witch. Like many of her kind, she hopes to help the people of Leera, not harm them, and she's on her first mission to heal an ailing man named Jeremiah. But when she crosses paths with a witch hunter, instead of avoiding him like she knows she should, she succumbs to her desires and ends up in his bed. The local Enforcers believe a witch is behind Jeremiah's sickness, so they call Bastian to town. He's a young witch hunter who normally has a knack for sniffing out witches. But when he runs into the striking Tessa, she scrambles his senses. He's inexplicably drawn to her and abandons his usually cautious nature. 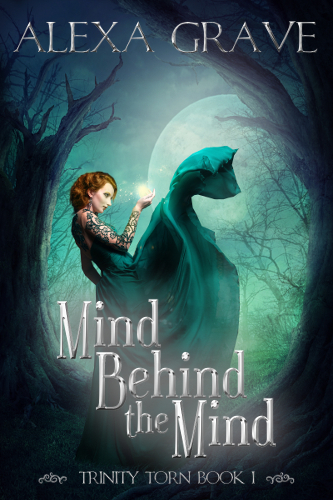 As Tessa and Bastian uncover clues about Jeremiah's illness, Tessa has to face the possibility that another witch may have had a hand in the incident. And if Bastian learns she's a witch, he may point his finger at her. Then her head will surely roll. 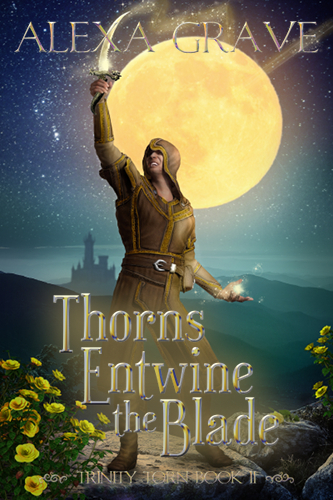 Thorns Entwine the Blade coming soon™!